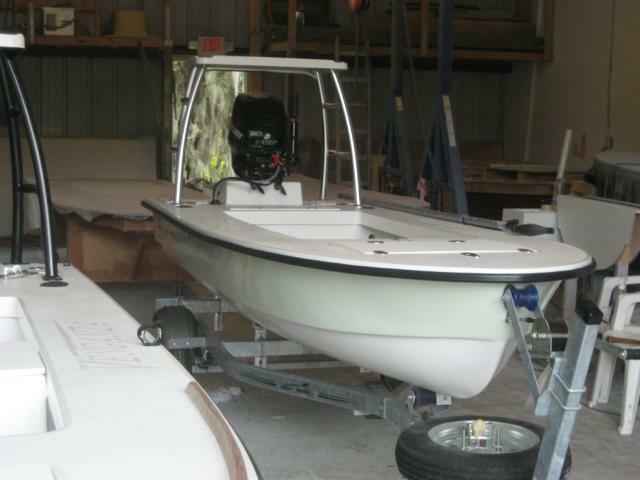 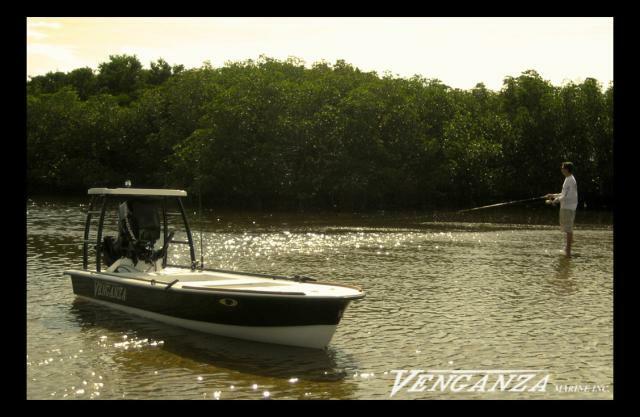 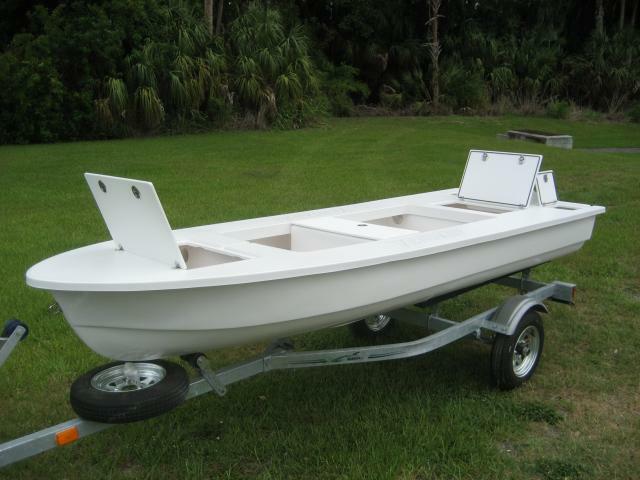 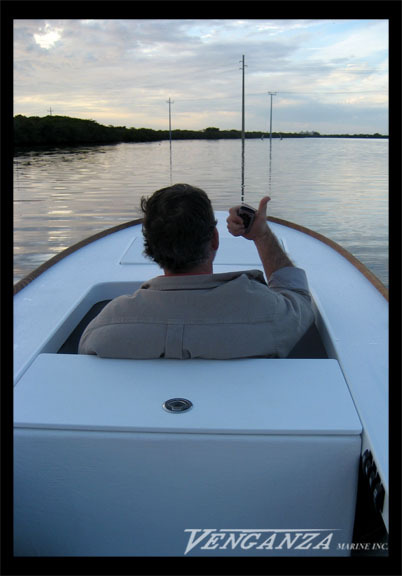 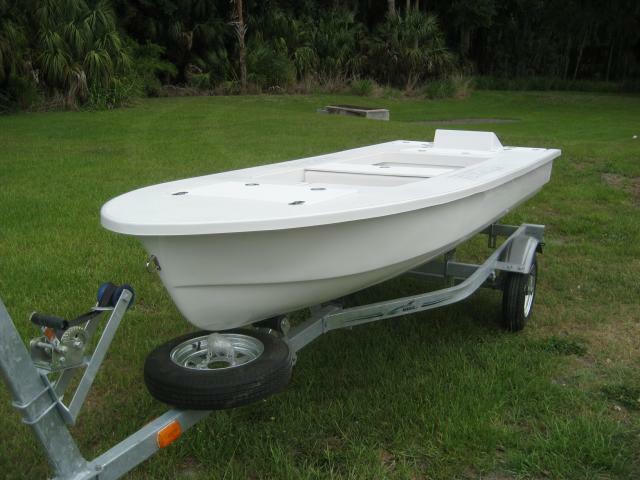 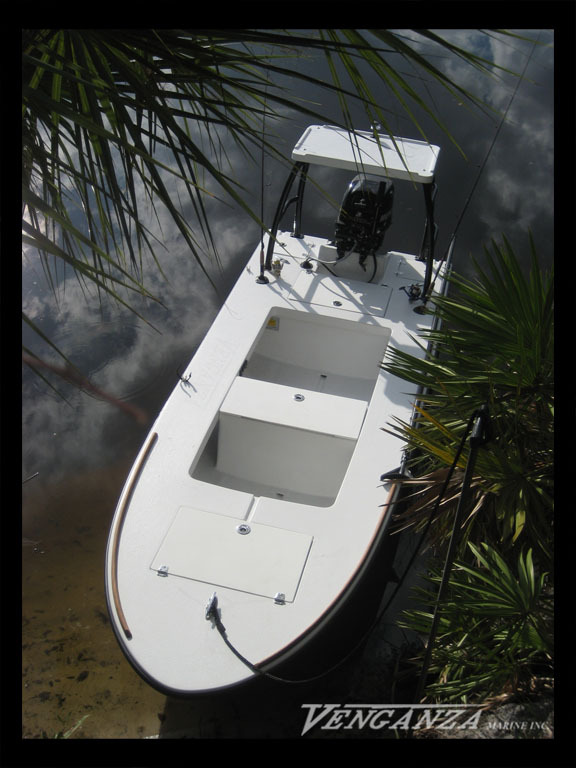 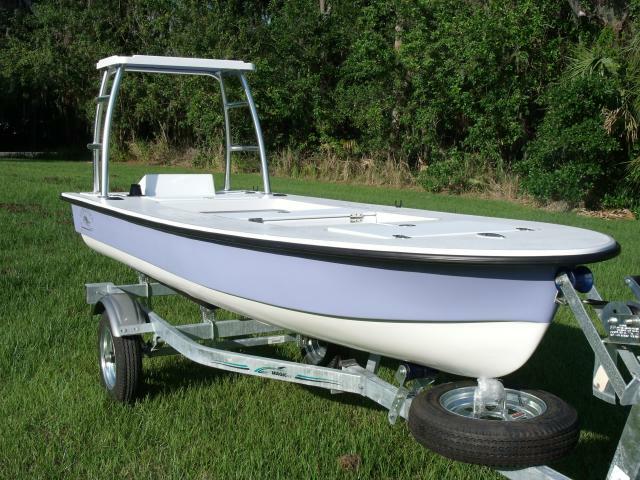 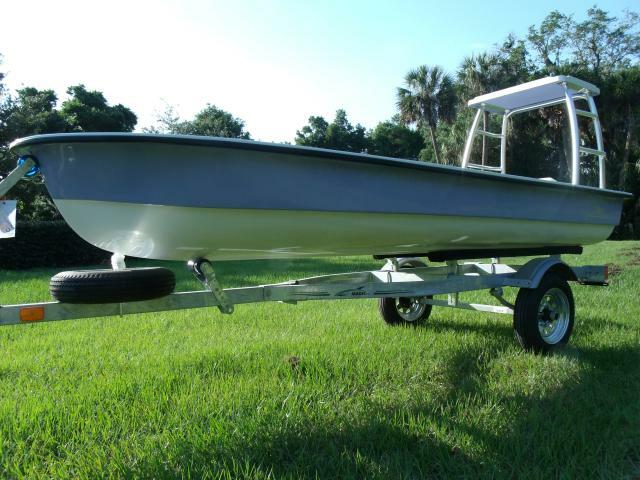 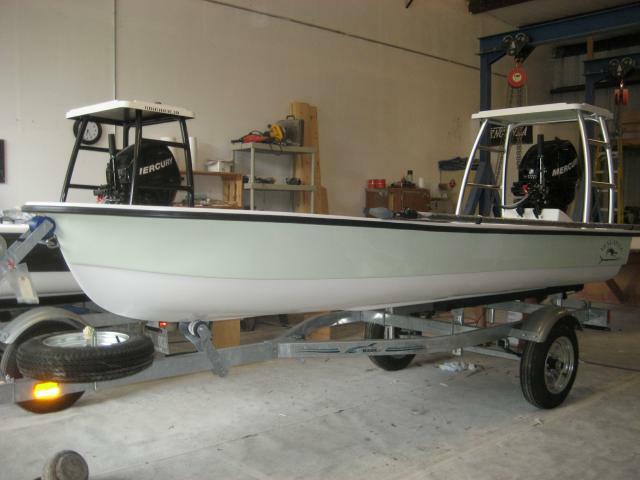 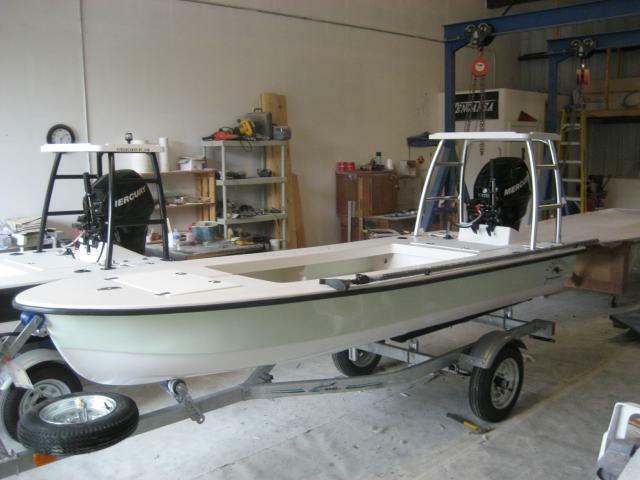 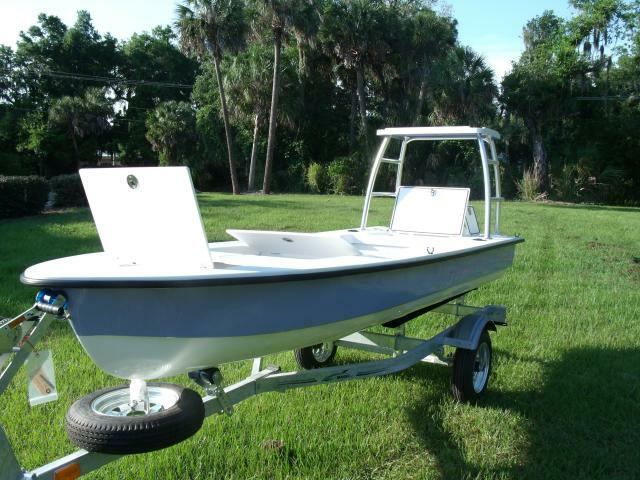 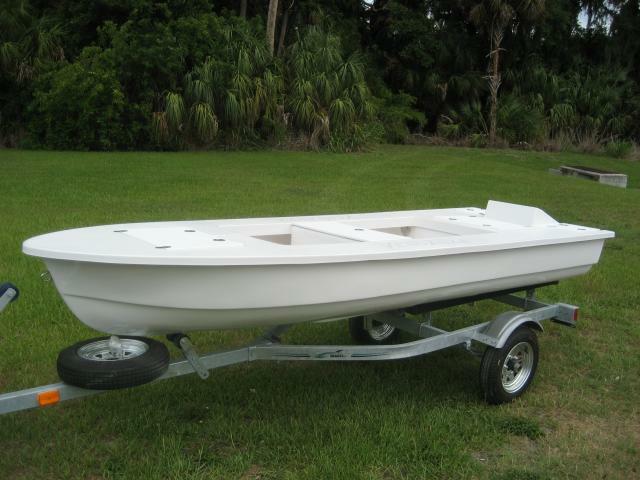 Polling Platform, 15hp Mercury Four Stroke, Two Tone "Palm Air Green", Push Pole and Hardware, No Bench Seat, Rod Storage Below (2),that can fit a 9' fly rod, Trailer. 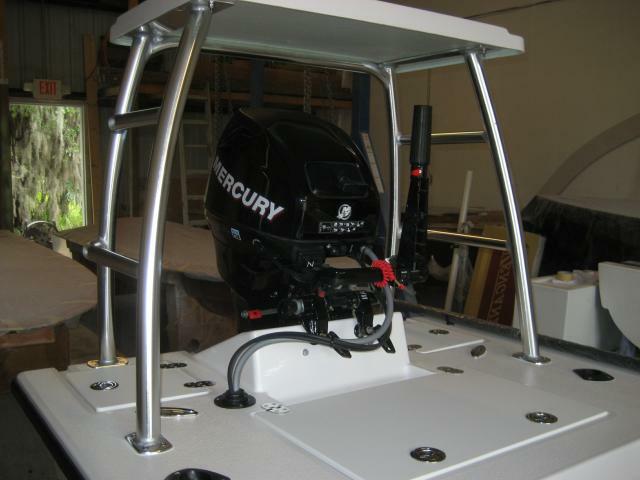 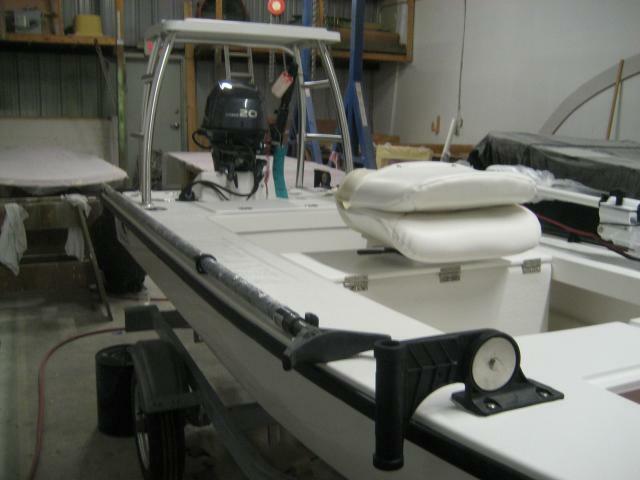 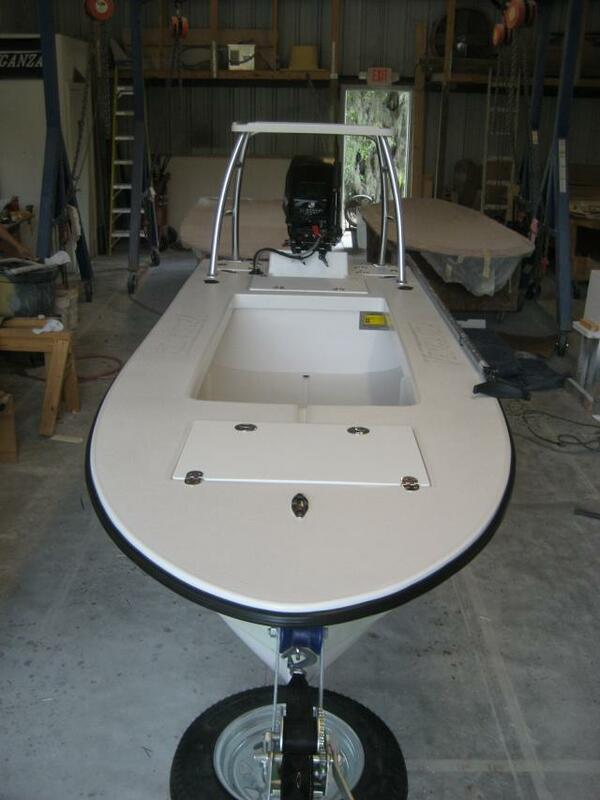 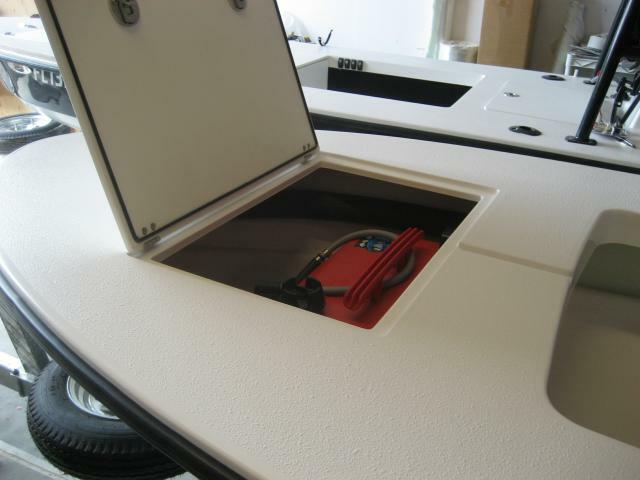 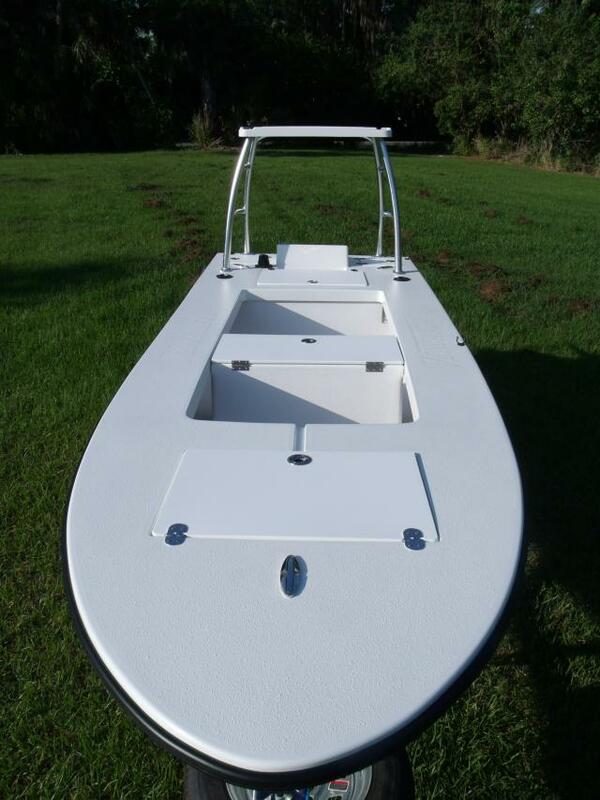 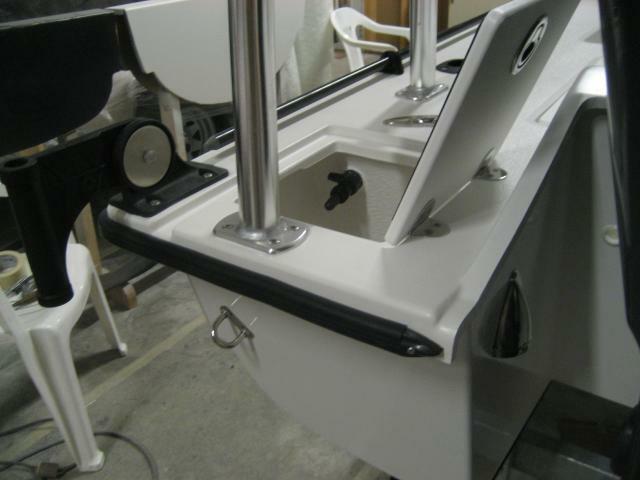 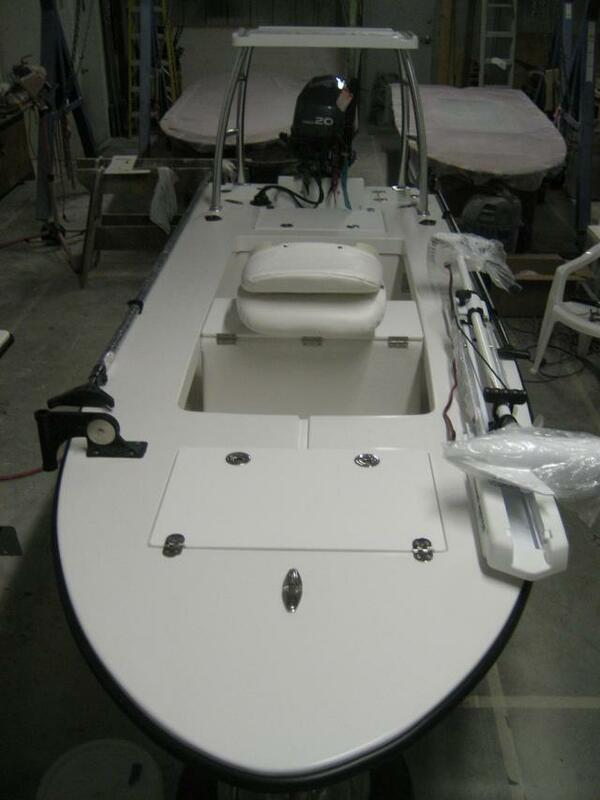 Powder Coated Polling Platform, Two Tone Black, Benchseat/Freeflow Livewell, Teak Toe Rail, Nav light Package, Courtesy/Storage Lights Push Pole and Hardware, Stickit Pole 7', Stickit Anchor Pin holder, 20hp Mercury Four Stroke, Trailer. 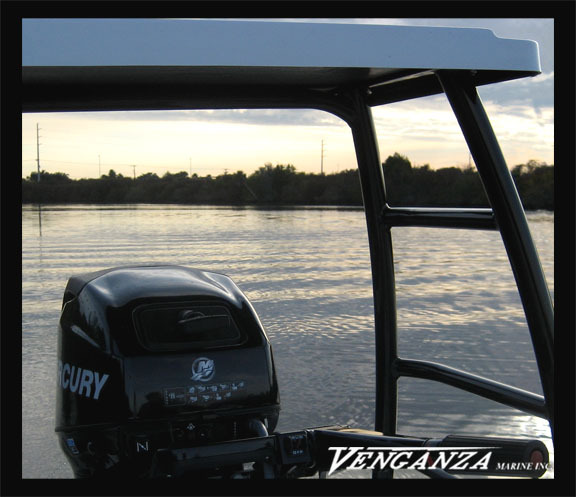 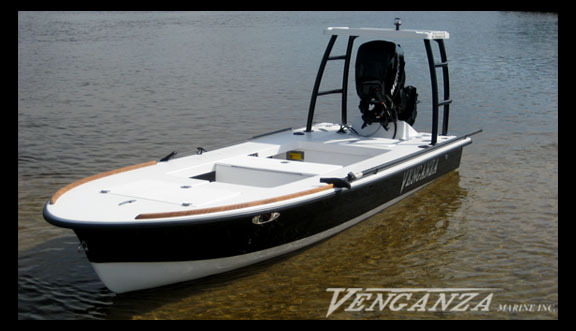 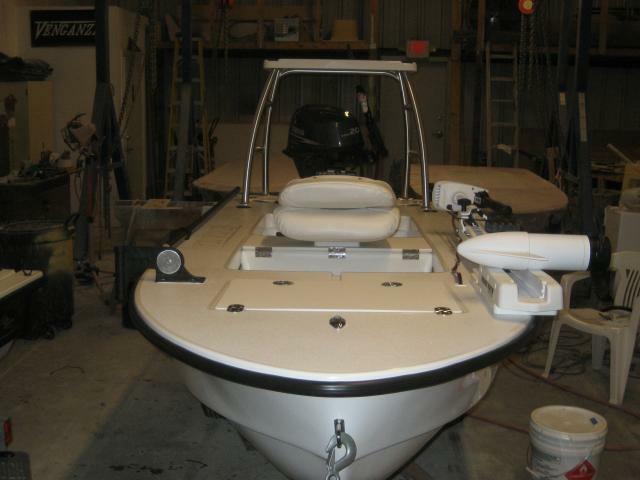 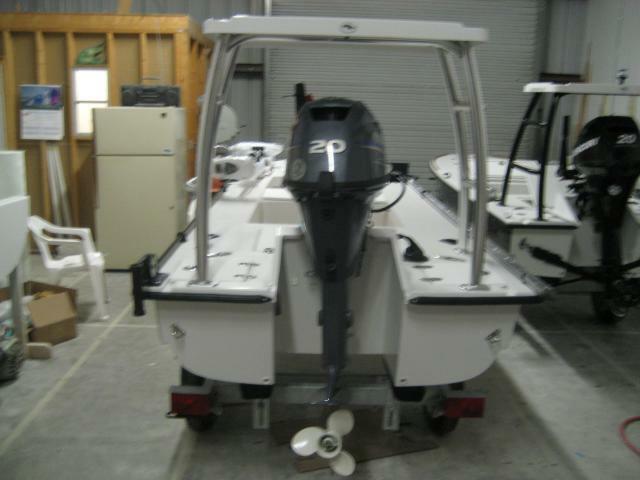 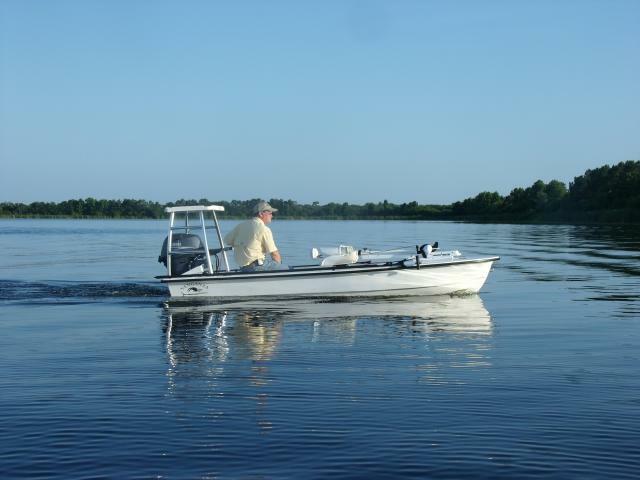 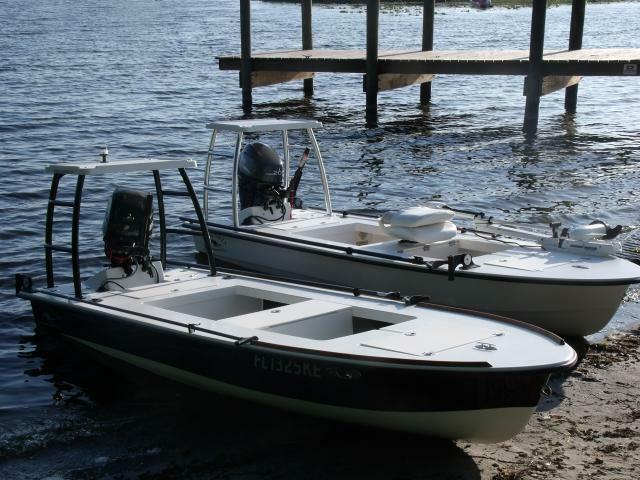 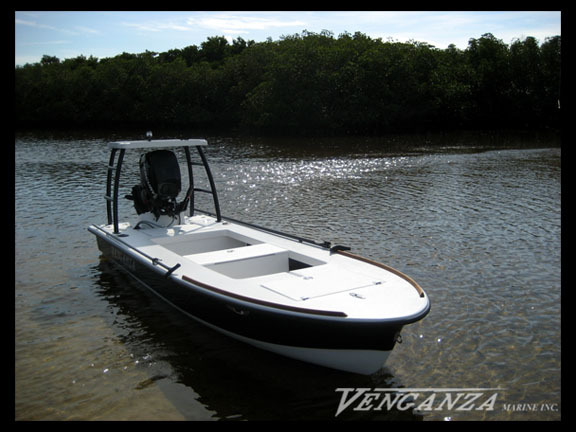 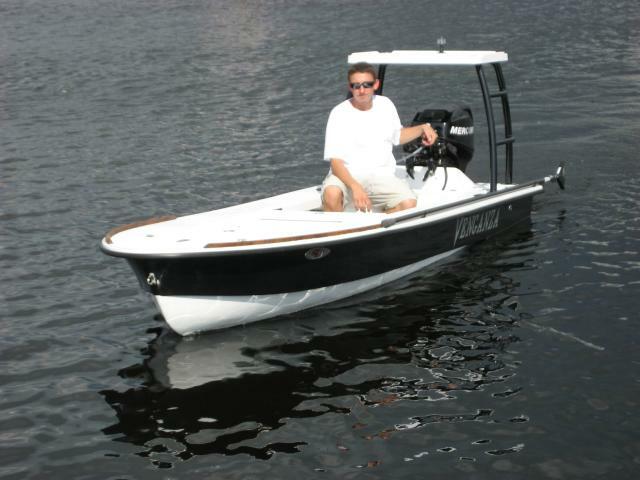 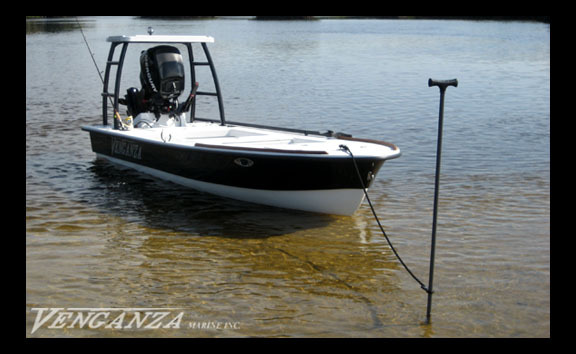 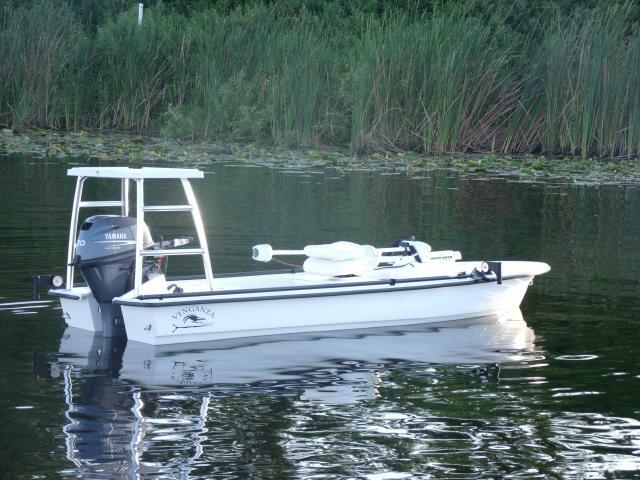 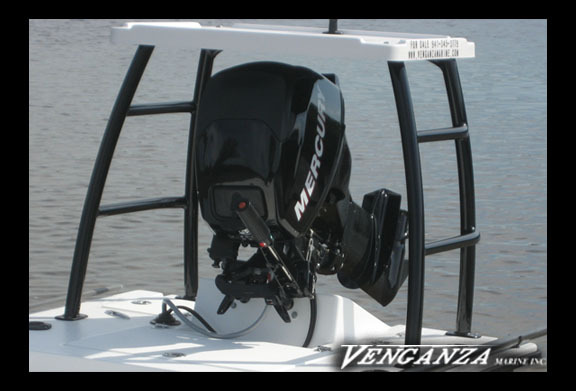 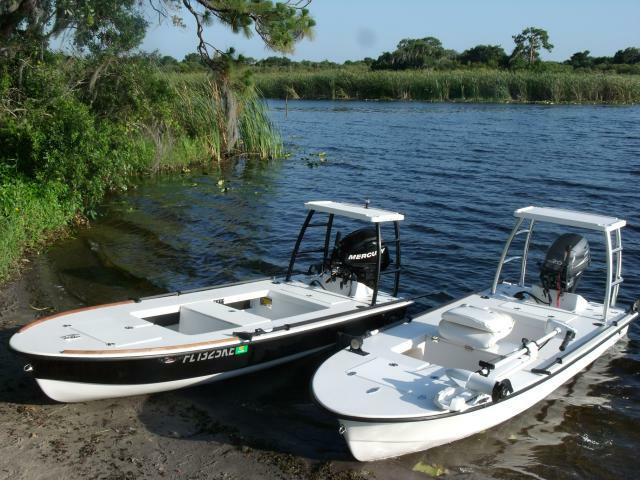 Polling Platform,20hp Yamaha, Push Pole,StickIt 7', (2) StickIt anchor Pin Holders, Trolling Motor, Port Side Livewell, Removable Seat on Storage Box, Trailer. 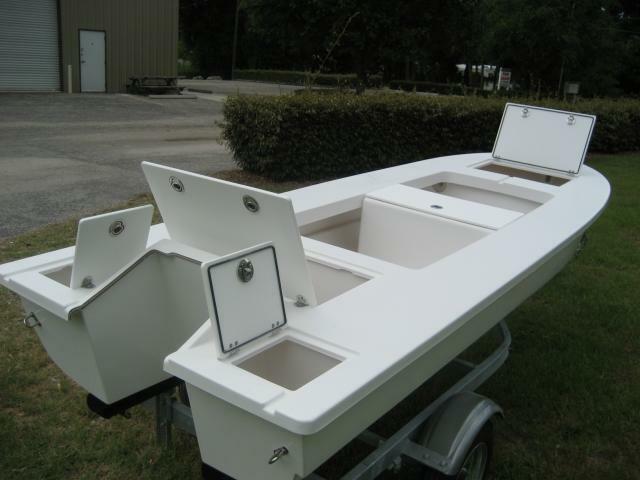 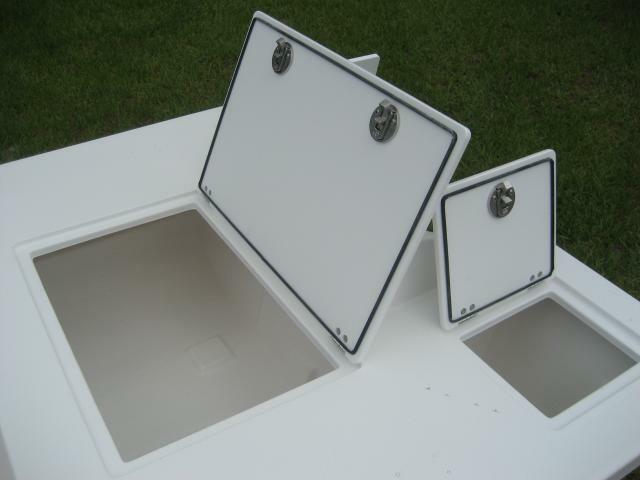 Polling Platform, Bench Seat, Two Tone "Lavender", Trailer. 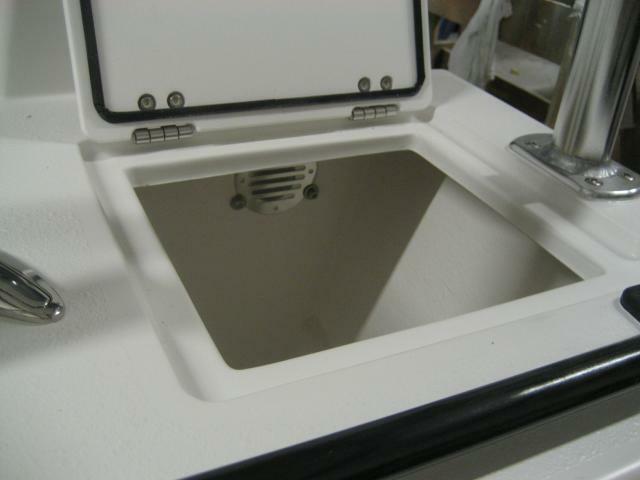 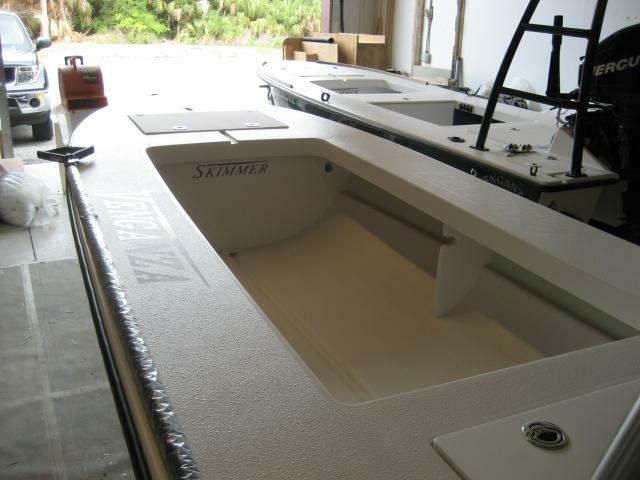 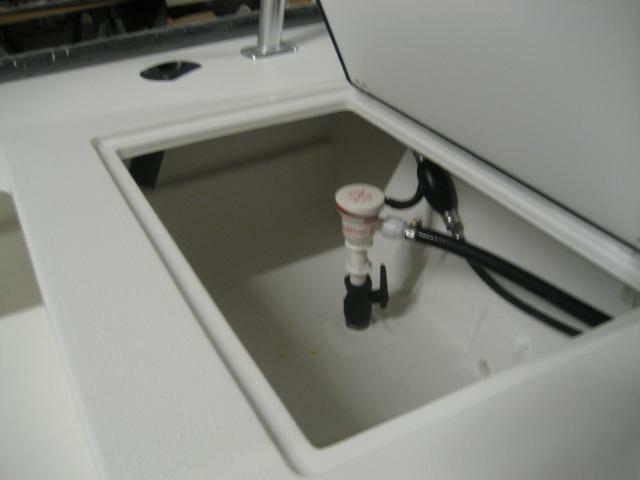 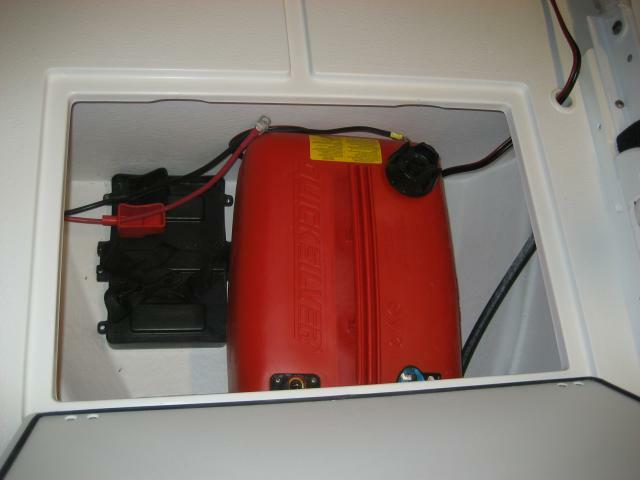 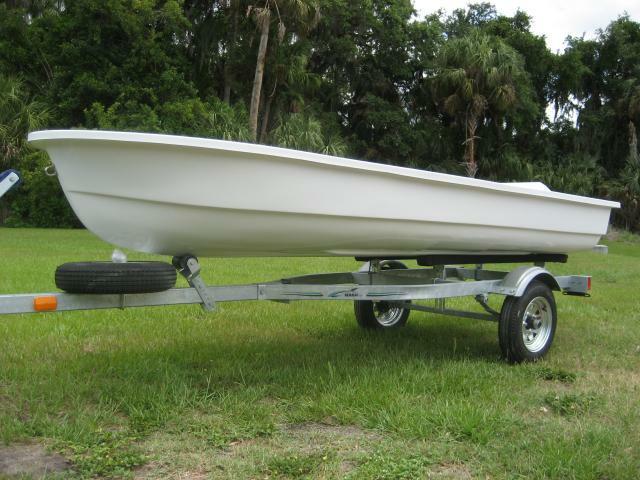 This is a Bare Boat Or also know as Skimmer (B). 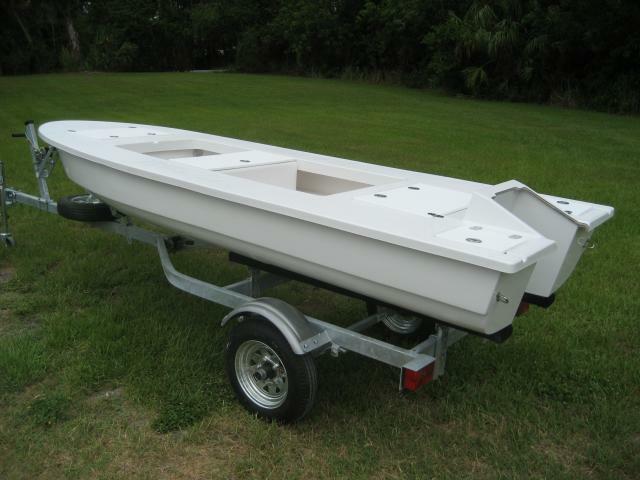 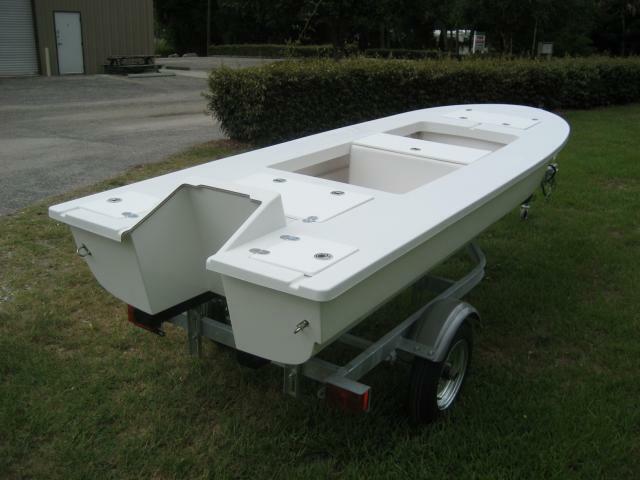 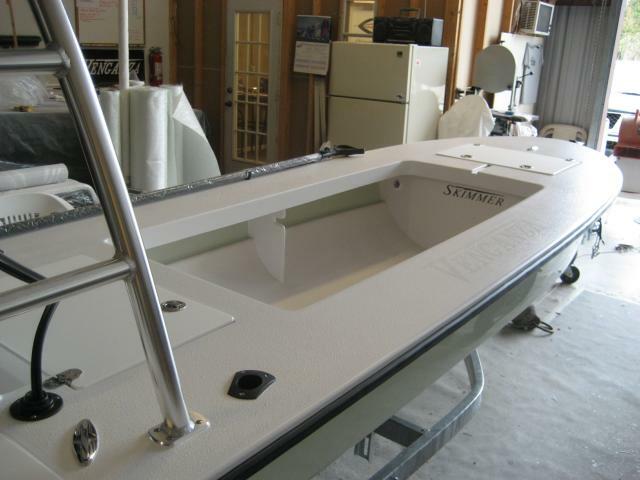 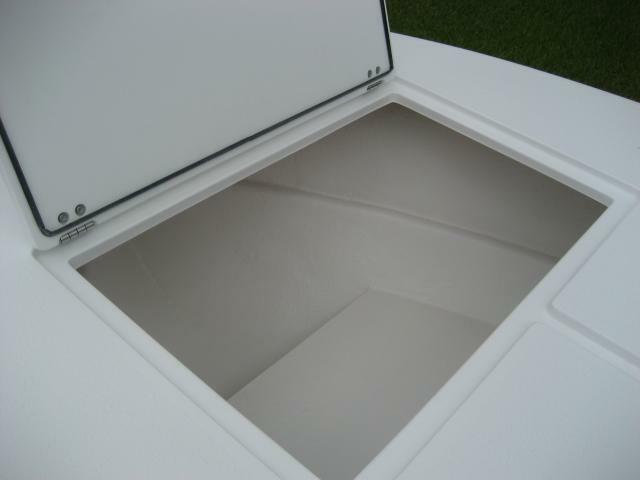 This boat comes with Hull, Deck, Hatches, Bow Eye, Stern Eye. 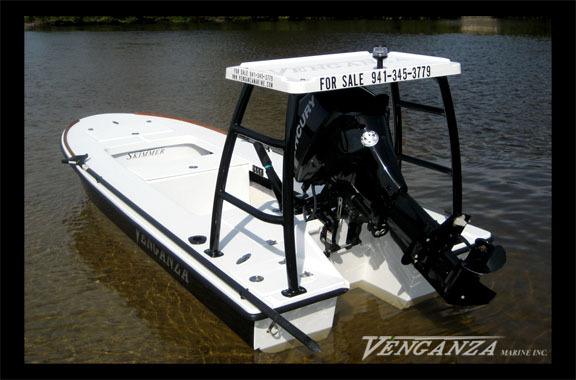 No Motor, No Trailer. 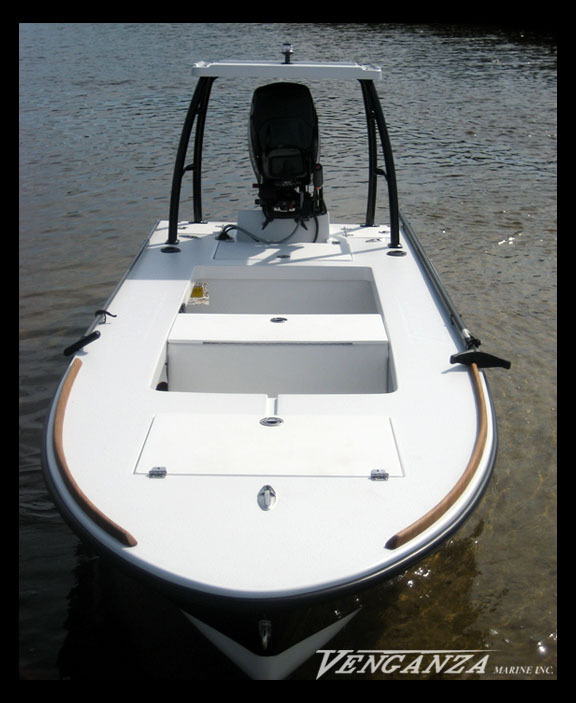 "Bench Seat Not Included"